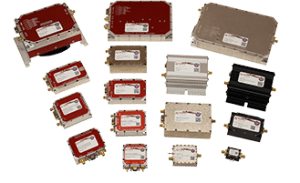 The increasing availability of COTS RF modules and subsystem components has made it convenient to design and assemble a custom high-performance RF communications system from off-the-shelf parts. However, while availability and selection has increased, top-of-the-line performance is still expensive. Being familiar with each category of RF subsystem modules and the various roles these modules play is critical to understanding how they can be used to optimize a system’s performance. In this article, we examine a few popular RF subsystem modules and explore how they are being used today by system integrators in the field. We examine their major strengths and setbacks and dissect how system integrators are using these COTS RF modules to solve real problems in the field. 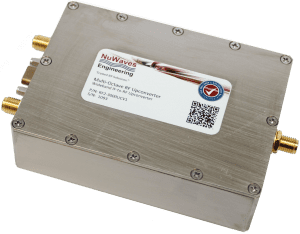 Figure 1: NuWaves’ Multi-Octave RF Upconverter – one of the many RF modules available off the shelf. 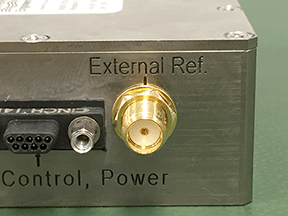 One of the most in-demand pieces of RF subsystem hardware used today is the RF Frequency Converter, also called a Frequency Transverter, Frequency Changer, and Frequency Extender, this RF Building Block is used primarily to extend the lifecycle of current communications equipment and as a tactical tool to avoid jamming and sources of RF interference. A Frequency Downconverter will convert any incoming RF signals on the receive path to an IF frequency, which when used with an Analog to Digital Converter will allow you to more easily process the data digitally. A Frequency Upconverter will upconvert all signals from the IF frequency to a specified transmit frequency. One of the main problems a frequency converter solves is keeping a communication system operational, by keeping it compliant with all rules, laws, and regulations that govern the transmission of RF signals over the air (OTA). As your frequency allocation changes, finding a simple way to operate at a new frequency can be problematic when your existing communications hardware is not designed to operate at that new frequency. Instead of replacing an entire communications system with an expensive new one, incorporating a few frequency converter modules and antennas into your system architecture can allow you to quickly and easily comply with new frequency allocation rules without sacrificing performance. Frequency converters also allow you to integrate new RF hardware with existing equipment easily, giving you the capability to add to your system without breaking the bank. Frequency converters with high-performance LC Oscillators can be used to provide a wide range at which you can dynamically downconvert and upconvert your signals to and from. This can be used tactically to mitigate sources of RF interference, for identifying channels with minimal interference, jumping frequencies to hide your transmission from the enemy, and more. Many companies now offer frequency converter systems with interchangeable wideband channel hardware, which can be switched out or stacked to further increase your system’s flexibility on-the-go by switching out one frequency card with another. This allows you to optimize how your system is set up without compromising your system’s size, weight, and power requirements. 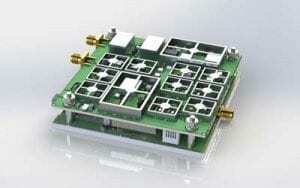 A RF Power Amplifier is another common RF subsystem building block in high demand today, used to increase the amplitude of a signal transmitted OTA in one direction, such as transmitting a video feed from a UAV to a ground station. Depending on how it is being used, it can be critical that the Power Amplifier be designed for low SWaP (Size, Weight, and Power) to reduce the added size, weight, and power requirements of the system. More on the importance of designing for SWaP can be found here. The common challenges that a RF Power Amplifier solves are increasing RF subsystem signal strength to communicate at greater distances, communicating at beyond line of sight (BLOS) and through high-density environments, overcoming any RF interference from alternate electromagnetic sources, and improving performance in non-ideal weather conditions. If you have the necessary approvals to transmit at high RF output powers, it is usually the best route to go in terms of performance. However, the FCC sets a limit on the maximum transmitter output power, fed into the antenna, at 1 watt and as such, unless you are working in the D.o.D. you may have to look at alternate solutions to achieve your desired performance, such as a higher gain antenna. A Low Noise Amplifier (LNA) is used to increase your receiver’s sensitivity by increasing the amplitude of any incoming RF signals on the receive path. This can be done for signal intelligence purposes, or as a alternative solution to a RF Power Amplifier for increasing the reliability of a communication link. Caution must be exercised since a LNA does not discriminate between different RF signals that are fed into the LNA from the antenna. A LNA will amplify everything including any environmental noise that it picks up such as the environmental noise floor. Therefore, you may want to consider using a bandpass filter in unison with a LNA. More on using LNAs to improve system performance can be found here. Finally, RF Filters are used to clean up your system’s performance and can be utilized to solve a whole range of issues and performance problems, too detailed to cover entirely in this discussion. A more detailed discussion on RF filtering can be found here. While there are many more categories of RF subsystem modules worth exploring, the purpose of this article is to give a brief overview of some of the more popular RF modules that are common today and examine how they are being used to solve frequently encountered RF communication problems. Ultimately, different applications, system architectures, operating environment, and weather patterns make the needs of any two systems unique and one-of-a-kind. Knowing how to utilize the high-performance RF modules offered as COTS can help you to identify quick, simple, and cost-effective solutions without breaking the bank. 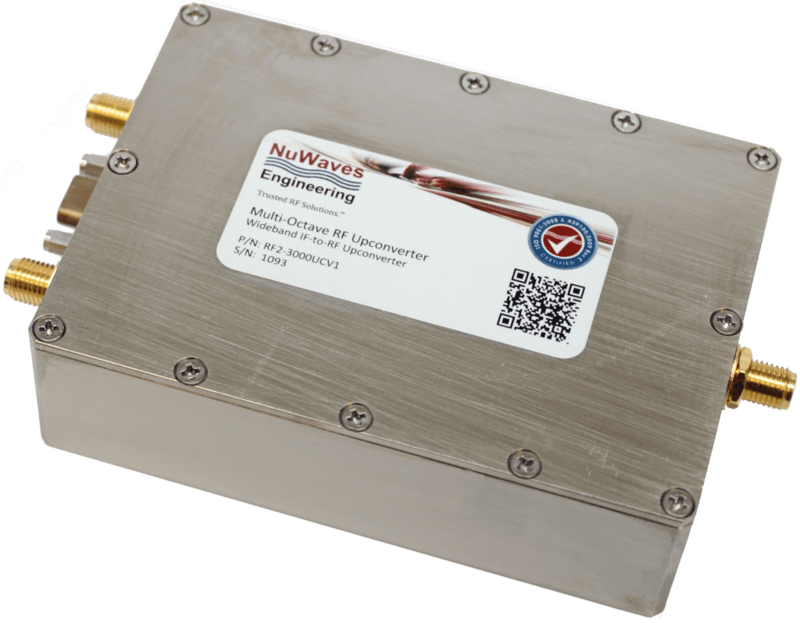 NuWaves offers a range of RF products and design services to maximize your RF capability.